Namibia All Over is a tour through southern as well as northern Namibia including major highlights such as the the Kalahari Desert, Quiver Tree Forest, Giants' playground, Fish River Canyon, the ghost town Kolmanskop, Lüderitz, the Namib Desert Horses, the dunes at Sossusvlei, Dead Vlei, Sesriem Canyon, Welwitschia, Moon Landscape, Swakopmund, Twyfelfontein, Organ Pipes, Burnt Mountain, Petrified Forest, Epupa Falls, Visiting the Himba people, Etosha National Park and Namibia's capital city, Windhoek. On your arrival we will meet you at the international airport Hosea Kutako and accompany you to collect your rented car. After that we discuss your itinerary with you, provide some useful tips and tricks, hand over your travel documents and answer any questions you might still have. From there you travel towards the Kalahari Desert via Rehoboth. The Kalahari Desert is the largest interconnected sandy plain extending over more than nine countries. On your way south we recommend a stop at the Quiver Tree Forest. Quiver trees usually occur in isolation while here you will find several hundreds of these trees scattered among large boulders. The Giants' Playground consisting of a jumble of huge dolerite blocks thought to be about 180 million years old is another well known sight in southern Namibia. Today you will reach one of the highlights of your journey, namely the Fish River Canyon, which is said to be the second deepest canyon on earth after the Grand Canyon. 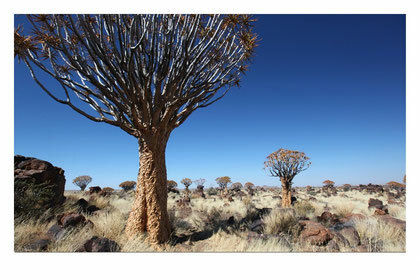 It originated more than 350 million years ago and its rock formations are counted among the oldest in Namibia, even among the oldest known in the world. This morning is reserved for an extensive viewing of the rugged ravines of the Fish River Canyon. A walk from one viewpoint to the next provides spectacular views down the meandering chasms. Today your route along the Orange River via Rosh Pinah to Aus is captivating due to the ever changing views of one of only three permanent rivers found in Namibia. From 1915 until 1918 the village of Aus was the site of an internment camp for German soldiers of the “Schutztruppe“ after they surrendered to the Union forces during World War I in 1915. Nowadays the ruins of this camp are a national monument and open to visitors. Your goal for today is the ghost town Kolmanskop in the “Sperrgebiet”, the restricted diamond area. Erected by German diamond diggers at the beginning of the 20th century, this town is gradually disappearing under the advancing sand dunes. The old German art nouveau houses are a favourite motif for painters and photographers. A stone cross at Diaz Point on the coast beyond Lüderitz commemorates the arrival of the first Europeans in Namibia. From the viewpoint you can observe a colony of fur seals on the nearby rocks in the ocean. On your return trip to Aus you may watch the wild horses of the Namib, who have adapted to the harsh living conditions of the desert and whose origins are shrouded in legend. Your road today follows the Tiras Mountains and takes you through the Namib Rand Nature Reserve into the Namib Naukluft Park there to explore some of the highlights of your journey such as Sossusvlei, Dead Vlei and the Sesriem Canyon. You get up very early to reach the gate to Sossusvlei together with the first rays of the rising sun because the beautiful interplay of light and shadow on the dunes of Sossusvlei is only visible at sunrise or at sunset. Following that, you should not neglect to visit Dead Vlei, named for the many dead trees said to be 800 years old, a sight to quicken the heartbeat of any photographer. A visit to the Sesriem Canyon tops off this day’s impressive adventures. On your journey to Swakopmund via the Gaub and Kuiseb Canyons you can admire the Welwitschia, named after her discoverer the botanist Friedrich Welwitsch. These ancient plants may reach an age of 2000 years. Take a break at the scenic viewpoint and let your gaze wander across the stark vistas of the Moon Landscape. The influence of German colonial times is still very obvious in the picturesque coastal town of Swakopmund. In addition to excellent restaurants and shopping it offers adventure activities such as boat trips, kayaking in the bay of Walvis Bay, quadbike tours, scenic flights, skydiving and much more. On your way northwards along the west coast you may make a detour to Cape Cross, Namibia’s largest fur seal colony. Turning east, you enter Damaraland to visit Twyfelfontein, a world heritage site featuring more than 2500 rock engravings, ranking among the largest accumulations of this kind in Africa. From there you continue to the Organ Pipes consisting of many polygonous basalt pillars more than 5 metres high and to the Burnt Mountain. Damaraland is not only famous for its scenic beauty it is also home to the desert elephants, which live in the ephemeral rivers and which can be viewed during a game drive. Twyfelfontein Lodge offers wonderful hikes onto the nearby plateau providing spectacular views over the endless surrounding plains. On your way north you should not neglect to visit the Petrified Forest. In the village of Opuwo in Kaokoland stately Himba and Herero women stroll along the streets in their traditional garb. 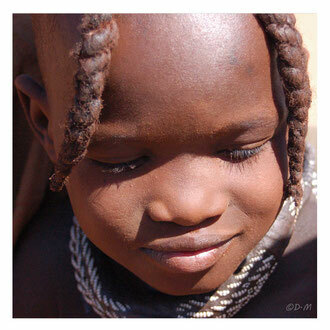 There are several small markets offering fresh herbs, red ochre and other Himba items of daily use. From the road to Epupa on the banks of the Kunene River you will see many huge baobab trees. 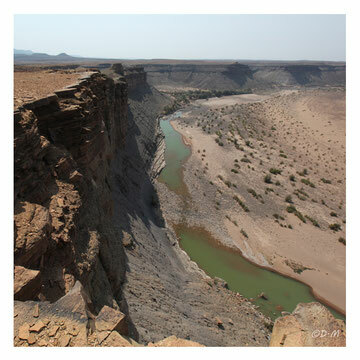 The Kunene River forms a natural boundary to Angola. During a visit to a Himba village you become acquainted with Himba culture and the everyday life of these nomadic herders, who still cherish their ancient traditions. Your goal for today is the Etosha National Park, which you will enter from the west via the Galton gate. The Etosha National Park covers an area of about 22,000 km² and is dominated by the huge salt pan measuring 4,700 km². The pan only fills with water during exceptionally abundant rainy seasons. The particular fascination of this park is due to its various vegetation zones, ranging from short grass savanna to woodlands, which provide a large variety of habitats for many different animals. Apart from elephant, rhino, giraffe, zebra, various antelope and many different bird species you will also find lion and other predators. You travel through the western part of the park to spend the night at Okaukuejo, the rest camp with the best known waterhole, which is illuminated and where you can observe the animals by day and by night. 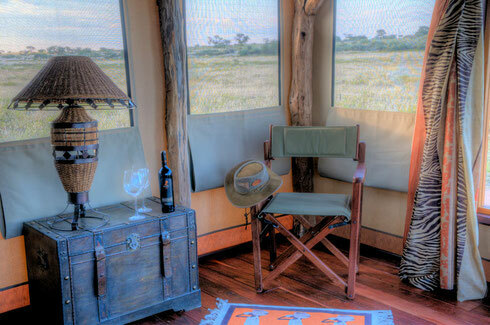 This day you will also spend travelling through Etosha. The best time to view the animals either along the road or at the various water holes is in the early morning. You leave the Park through the Von Lindequist Gate with some stunning photos and overnight at a rest camp situated outside its borders. The last two nights of your journey will be spent at Okapuka Ranch to review the many impressions of your travels in a relaxed atmosphere. During a game drive the ranger will take you to see rhino, crocodile, giraffe and various antelope species. 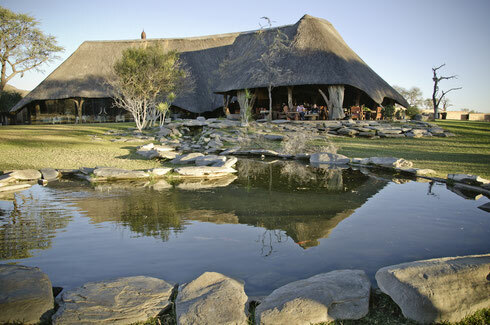 A trip to Windhoek, the capital of Namibia, is recommended. The city has many historical buildings dating to its colonial past as well as many other sights worth visiting. You travel to the international airport Hosea Kutako and set out on your flight home taking along countless new and beautiful memories.